I love creative dip ideas. 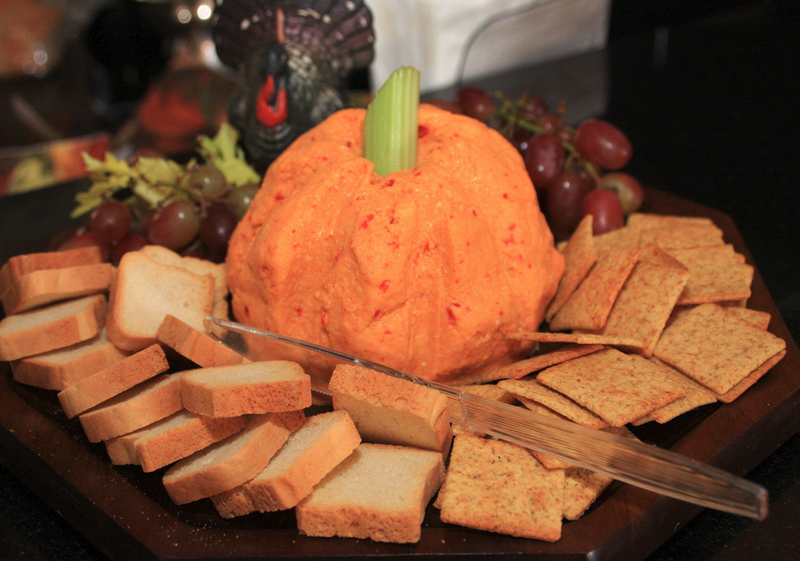 This fall cheese dip idea is festive and very tasty! Try this for your upcoming halloween party or thanksgiving dinner this year. Cut celery stalk, and reserve for another use. Cut stalk to resemble a pumpkin stem, and press into top of cheese ball. Serve cheese ball with crackers, crostini, and apple wedges. I made this for a luncheon, and everyone raved about it! It looked just like the picture (adorable) and tasted great.